Judge Denny Chin ordered Bernie Madoff to forfeit $170 billion dollars - the total amount of dollars believed to have flowed through Madoff's firm over the years. A federal judge has ordered notorious Ponzi schemer Bernard Madoff and his wife to turn over property and assets valued at nearly $170 billion -- including the couple's swank pad on Manhattan's upper east side, French chateau and cars and boats, authorities said Friday. Under the terms of the order, issued by Judge Denny Chin, the Madoff's have been stripped of their bank accounts and real estate in addition to tens of millions of dollars in loans the couple doled out to friends, family and employees. The $170 billion figure represents the amount of money that went through Madoff's firms and is "largely symbolic," according to the Wall Street Journal. The order also forces Ruth Madoff, the fraudster's wife, to forfeit $80 million in assets -- though she will be allowed to keep $2.5 million under the terms of the deal. The judge also authorized the U.S. Marshall Service to sell off four of Madoff's properties -- including the upper east side apartment where Ruth Madoff still lives. It was unclear Friday if the money from the sales will be used to compensate the nearly 5,000 investors who were duped in the massive $65 billion Ponzi scheme. Ruth Madoff has not been charged with any crime. But officials said the deal does not preclude her from being prosecuted if investigators find evidence she was involved in her husband's fraud. They also said the Securities and Exchange Commission and the the trustee seeking assets for victims are not precluded from seeking to recover funds from her in the future. Ruth Madoff worked at the Madoff firm and has been living in the $7.5 million Upper East Side penthouse since Madoff admitted his scheme. The court filing shows Ruth Madoff agreed to surrender all furniture, clocks, silverware, paintings, electronics as well as cash from her accounts. Madoff's lawyer Ira Lee Sorkin declined comment. Ruth Madoff's attorney Peter Chavkin also declined comment. Prosecutors said the Montauk house is worth about $7million, the Palm Beach Mansion $7.4 million which had about $1.5 million in art, furniture and other belongings. 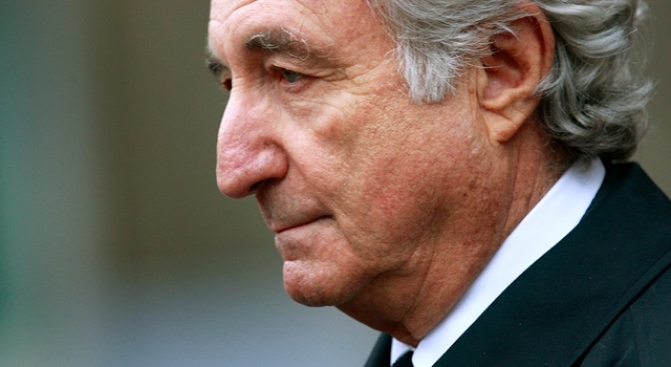 Any claims to Madoff's boats, cars and securities were also relinquished. The court filing came as prosecutors asked that Madoff be sentenced to 150-years for masterminding what is believed to be the largest financial swindle in history. Federal sentencing guidelines allow for the 150-year term, prosecutors said. Any lesser sentence, they added, should still be long enough to send a forceful message and "assure that Madoff will remain in prison for life." Madoff's attorney has asked for 12-year sentence. Madoff will learn his fate Monday.